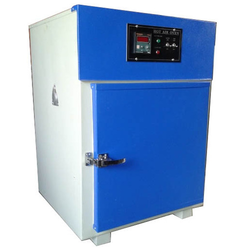 We are a leading Manufacturer of hot air oven, table top ph meter, aging oven, vacuum oven, portable chiller and deep freezer from Delhi, India. 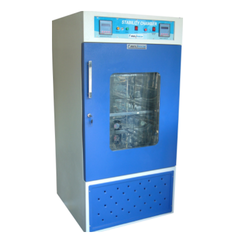 We have marked a distinctive niche in the market by providing Hot Air Oven which is relevant in food and medical industry for sterilization. 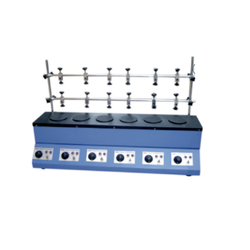 This equipment is developed at our most modern manufacturing unit using best class components in conformity with set industry norms. 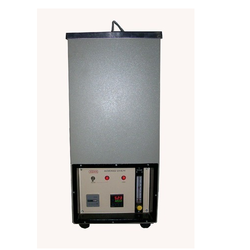 The offered gamut of Hot Air Oven is highly recognized for sturdy construction, optimum performance, power efficiency, perfect functionality, and reliability. 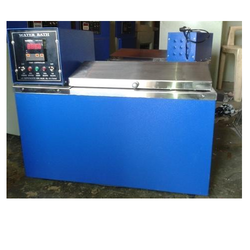 In order to ensure quality, this oven is sternly tested on different parameters. Our products are manufactured using high-tech mechanism and best resources. These are duly verified by our quality experts and provided at attractive market price ranges. Air Flow Meter, Air Pump, PID Temperature Controller. Available in the Multi cell. 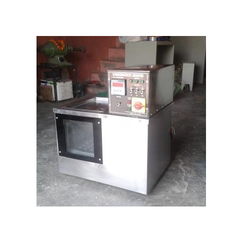 We are dedicatedly engaged in offering a commendable range of Vacuum Oven. This is manufactured using optimum-grade components and the latest technology in compliance with set industrial norms. 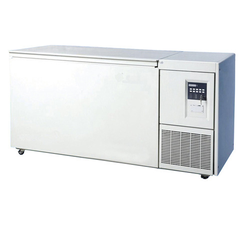 Portable Chiller is popular among the customers for its instant results and smooth functioning. 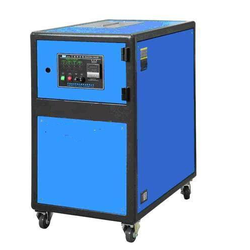 The high working capacity of our Portable Chiller attracts the customer most. 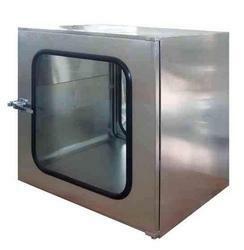 We manufacture Deep Freezer are in conformity with all the requirements of industry for an economical way to create temperature below freezing point to suit various standard application used in the field of science research for storage testing in biology, anatomy, chemistry in many other fields, for industry science. 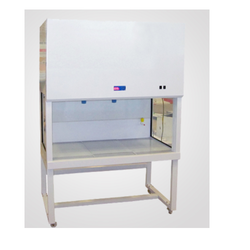 A Laminar Air Flow Chamber cabinet or laminar flow closet or tissue culture hood is a carefully enclosed bench designed to prevent contamination of semiconductor wafers, biological samples, or any particle sensitive device. 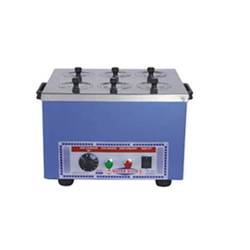 Muffle Furnace is light weight and fast heating equipment. 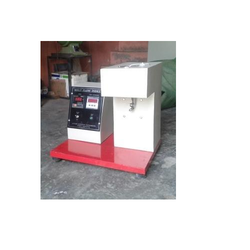 Most useful for Ashing, Fashions, Igniting and heat treating of small parts in chemical, industrial fields, colleges. Out side body made up of heavy gauge M.S /G.I duly powder coated Inner muffle with high temp. With a thorough understanding of this industry, we are offering a comprehensive range of Seed Germinator. 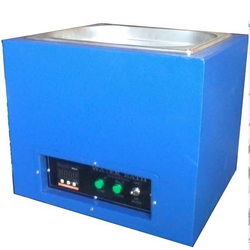 We are one of the eminent manufacturers and suppliers of precisely engineered Serological Water Bath. 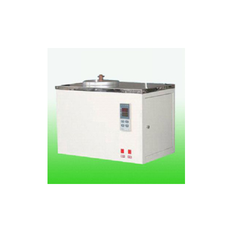 Massively used in tissue culture applications, growth observation studies, fermentation analysis and enzyme reaction studies, these water baths are widely demanded in laboratories. Made available in several models, these water baths are applauded for their tough construction and rugged construction. These Humidity Chambers are constructed and designed principally for secure control of storage temperatures. These are used for storage of sensitive cultures, BOD tests, vaccines, serum incubation services, etc. 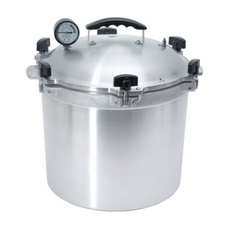 The entire range of offered incubators is hugely popular in the industry owing to superior quality stainless steel usage, adjustable shelves, thermostat temperature control and effective functionality. 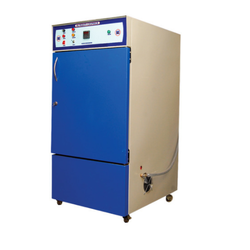 We are offering a high range of laboratory water bath which is available in 6 and 12 holes, thermostatic or digital control, ss chamber with ss lids. BOD Incubator offered to find application in testing Microorganism serum incubation seed germination, Vaccines, Culture of bacteria, Storage sensitive culture and others. Stirrer or Pump Option for water circulation. 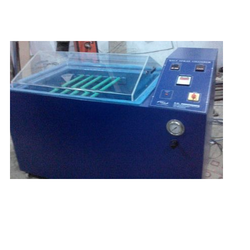 We are offering a wide range of Viscosity Bath. 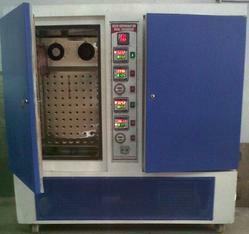 We are offering a wide range of Thermal Stability Test Apparatus. 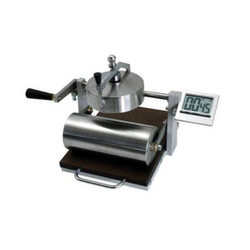 Owing to a remarkable position in this industry, we bring forth an excellent range of Colony Counter. 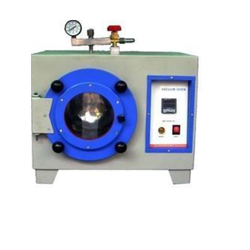 Autoclave meets the requirements of sterilizing the equipment through subjecting them to high pressure saturated steam with total process time duration depending on the size of the load and the content types. Soxhlet extraction apparatus mental type for 100-300ml flasks. 3/6 metals with one energy regulators for controlling all heaters. Individual on/off switches but without glass flasks. 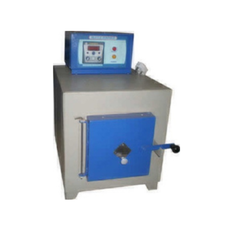 We are the leading Manufacturers and Suppliers of Salt Spray Chamber. Heating option, temperature controller, digital timer, humidity display, fog collection unit. 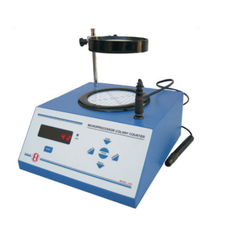 Cobb Tester is used to determine the Water absorption property of Paper, Paper Board, and Corrugated Fibre Board. User-Friendly Design, easy to tilt. We are offering a wide range of Pass Box. 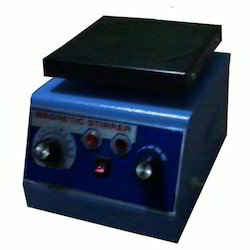 With our vast industrial experience, we have come up with a wide range of Magnetic Stirrer, which is widely acknowledged for their heavy duty. 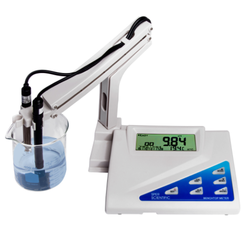 Looking for Scientific Laboratory Instrument ?